At the beginning of March 1984 I began to keep a diary. A personal record of day to day event’s that would eventually document 12 months of the longest, bitterest dispute in modern times. Along with my younger brother and three mates we travelled into Nottinghamshire and elsewhere to picket working collieries. After ‘flying’ into Nottinghamshire in the morning we would ‘fall back to Orgreave’. For several weeks we did this. 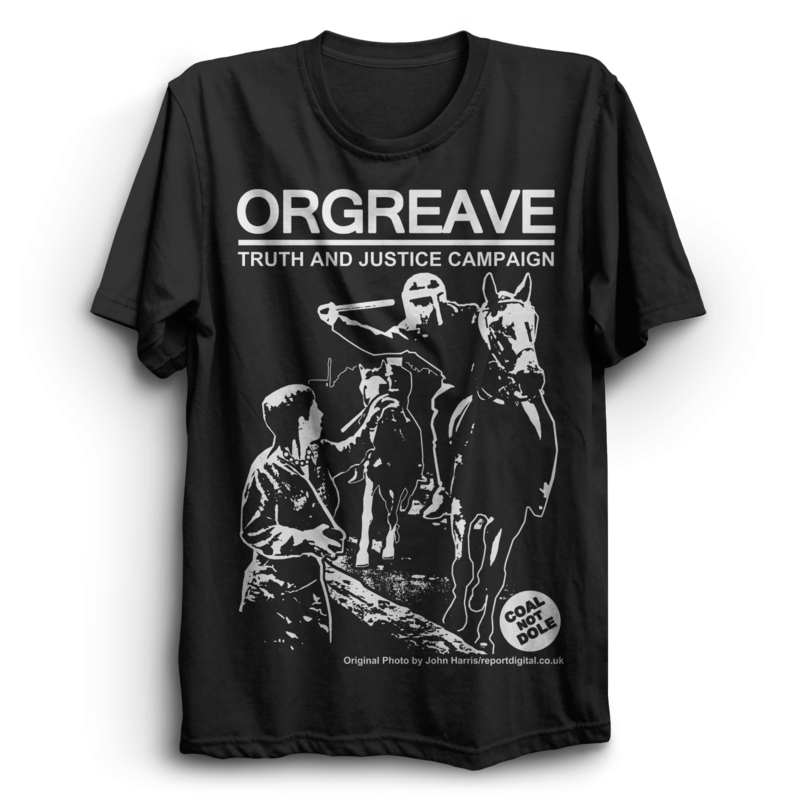 Orgreave was not just a one day event. We had been picketing daily at Orgreave several weeks prior to the big day on the 18th of June 1984. All this and more risking life, limb, injury, and in some cases death. For a pound a day picket money. My diary is a true and honest account of the strike. The entries were wrote at the end of the day or week. Emotions and feelings ran high. Anyone reading this book will come to their own conclusions, who was right and who was wrong. I make no apologies for what we as miners did and how we reacted on the picket lines and our mining villages. But things have to be viewed in the context of an exceptionally bitter dispute. The strike was always on the cards. It was just a matter of where and when. It started in South Yorkshire. In February 1984. Manvers colliery, Wath Main, Kilnhurst Colliery and the NCB South Yorkshire Transport depot next to Manvers were on strike. These pits were all linked underground and within a few miles radius of each other. Then in March an NCB area director went to Cortonwood colliery to discuss the new coal face which had been installed. Suddenly he announced that Cortonwood was to close. The new coal face installed and ready to produce coal was to close. A few Months earlier men had transferred from Elsecar Main pit to Cortonwood with a promise of 5 years life. They threw the gauntlet down. We picked it up! We had no choice. Were things planned? I don’t think they just happened and it just happened to be on Arthur Scargill’s doorstep. The events that followed, I don’t think Arthur Scargill had any control over. I think the striking miners took Arthur on strike. Whether he liked it or not. 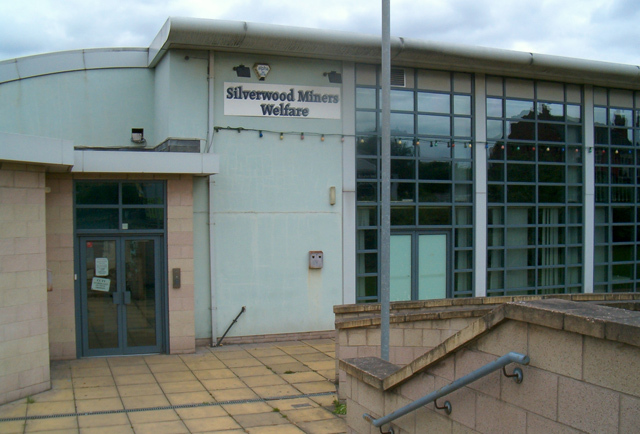 The Silverwood Miners Welfare known locally as ‘The Baggin’ was a hive of activity in the miners’ strike of 1984-85. 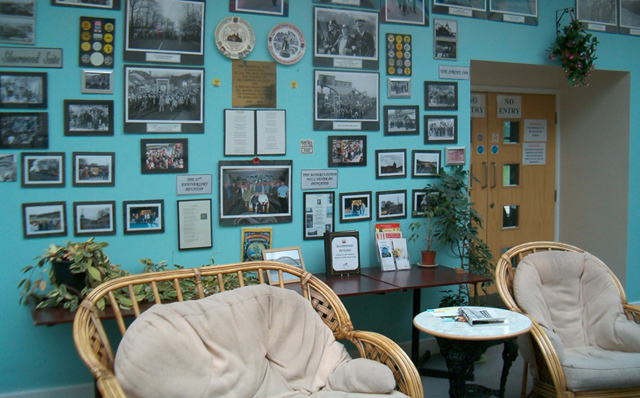 Miners came here for their picketing orders, family meals and to collect their food parcels or just for a cup of tea and company. 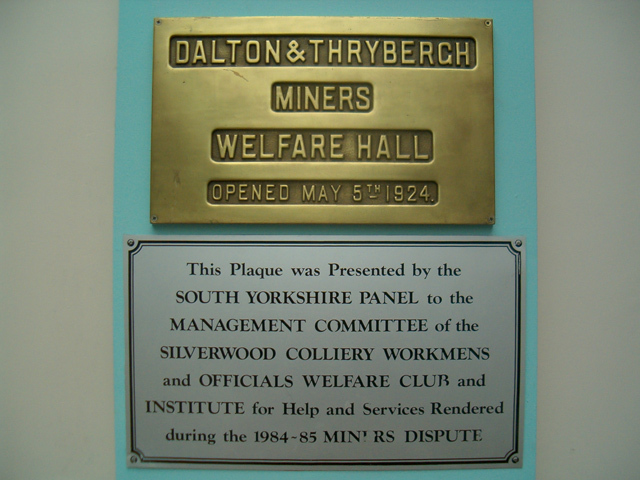 It was also the South Yorkshire Panel’s meeting place where requests for financial help from striking miners was discussed. The Baggin’ Originally called the Gun and Baggin’ named after old miners’ tools. Photos courtesy Ian ‘Bidder’ Evers and Sandra McDermott. At the start of the strike it was just like one long Holiday. It was a lovely summer. As the strike wore on those spotty and pasty faced miners disappeared. From working underground through the winter months not seeing no sun, no fresh air. The picket lines were full of fit, suntanned miners young and old. All through the strike we did not lose sight of the purpose of it all though, the sense of humour, the comradeship. Everyone was “mates” we were all miners’ “striking miners”. Today people talk about teamwork and present day job requirements “we had it all”. As the strike wore on we got battle fatigue, going to Silverwood miners’ welfare every evening for our next day’s orders, thinking to yourself, “I hope I’m okay tomorrow” and get home safe, because the more time you spend on the picket line the more the odds stack up against you suffering something more serious than being arrested. Before Christmas I for one was ready for a rest. I was glad when it came. After a well- deserved rest I was getting itchy feet again, missing the excitement of it all trying to beat the roadblocks, to dodge-duck- dive and weave in the Nottinghamshire countryside, to see the look on the police’s face when you broke through and arrived on the picket line. The day we broke through and got through to Clipstone Colliery. That was dedication to duty reaching there and the look of bewilderment on the police’s face. Walking back from picket duty at Harworth Colliery. Notts. April 1984. Yorkshire flying pickets. Left to right. ‘Lol’ Scales. Shaun Bisby. Mick ‘bushy’ Bush. Silverwood lads and ‘Captain Bob Taylor’ Cortonwood lad. Although we didn’t get in to “flying picketing” straight away in the strike for various reasons, when we finally got together as a team we soon made up for it. I was the driver, my brother Bob was co-pilot. Shaun Bisby, Darren “Daz” Goulty and Captain Bob were all in the back seats. We were all Silverwood men except Captain Bob he was a Cortonwood lad “the Alamo”. Granville Richardson our NUM president put Captain Bob onto us, as he lived at Rawmarsh near me and he had no transport. Capt Bob could not even get to picket his own pit as it was several miles from his home. When we started picketing and getting our next day’s orders I would go home and plan a route, I would note all the little country lanes, disused railway lines, farm tracks, in fact anything that looked like you could drive a car down. Our sense of humour, determination and friendship rolled all adversity and hardship out of the way. 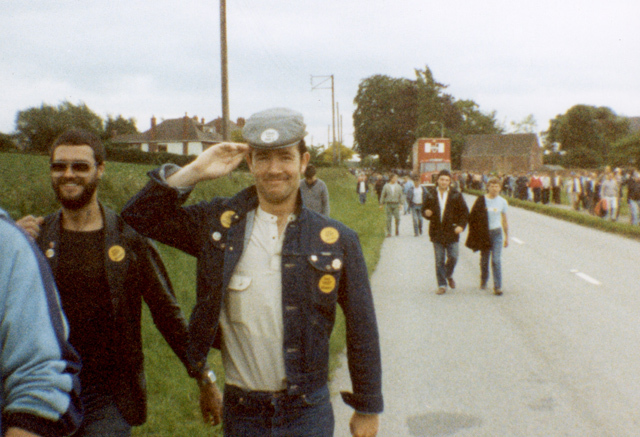 To me the miners were never beat, just look at the lad’s faces walking back from picketing at Harworth, Notts, the smiling faces, the comradeship, the unity. Whatever it was it could not be beat. The politicians have big houses, fat pay packets, flash car’s ”All we wanted was a job” but you could not buy us for love nor’ money. What we had and still have is our pride and principles… No the miners’ did not lose. The country lost. Walking back from Harworth colliery. Notts After picket duty. April 1984 left Mick Bush and Daz Goulty. Silverwood lads. 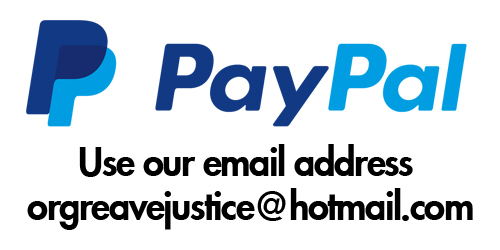 You could not buy us for love nor’ money. 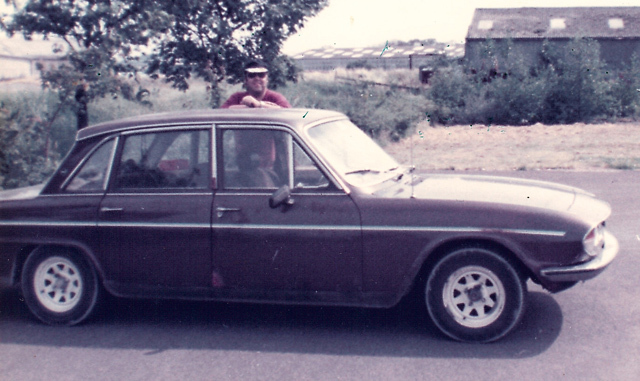 Our means of transport into Nottinghamshire and beyond was my old “Battlebus” a Triumph 2.5 TC. We nicknamed her the ”Battlebus” as other pickets would wave and toot their horns at us driving back up the motorway after a day’s picketing. The police did not bother us coming out of Nottinghamshire, only going in. We would get comments on the picket line about bats flying and circling round the car roof. But she did her job till she dropped later in the year. The lad’s sense of humour kicked in again, it was not long before I became known as commander bond. For my map reading and planning abilities. Bob Wilson as the co-pilot, Shaun, Captain Bob Taylor and Daz Goulty sat in the back. Early in the strike I found an old medal, I put an NUM sticker on it and named it the “deed of the day medal”. Whoever did an act of Bravery or something stupid or an act above and beyond the call of duty was awarded the medal for “a day” there was occasions when Captain Bob Taylor was awarded that medal for a full week. If I had thrown that medal into the ranks of a thousand riot police Captain Bob would have gone in for it. 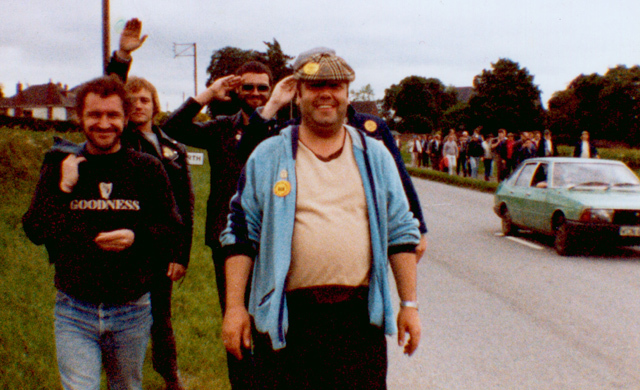 Captain Bob Taylor and the “Battlebus” somewhere on the picket line.